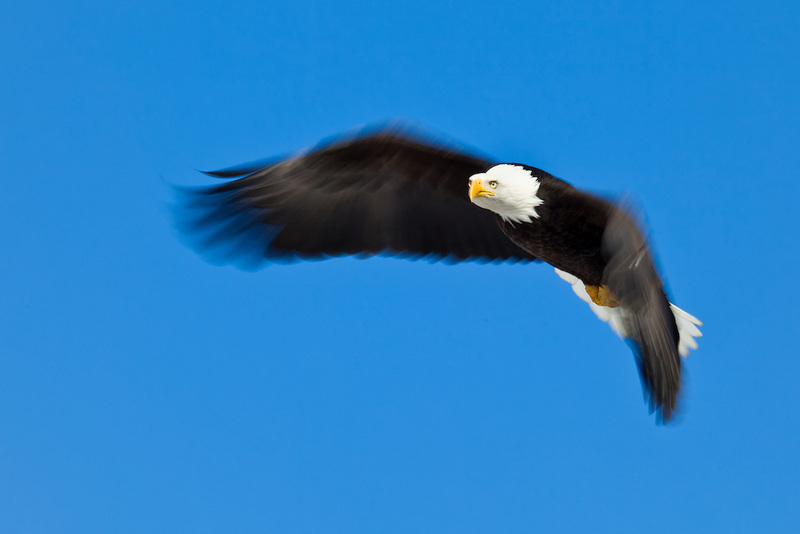 Motion blur of Bald Eagle (Haliaeetus leucocephalus) in flight in Eagle River near Anchorage in Southcentral Alaska. Winter. Morning.